Subsequent to a decline from 54 to 48 points in the third quarter of 2018, the Agbiz/IDC Agribusiness Confidence Index weakened further to 42 in the last quarter of the year. This is the lowest point since the fourth quarter of 2009. The results, which are below the neutral 50-point mark, imply that agribusinesses are downbeat about business conditions in South Africa. The survey was conducted in November and comprised agribusinesses operating in all agricultural subsectors across South Africa. The overall Index comprises ten subindices, most of which are generally subdued compared to the long-term average levels (i.e since its inception in 2001). But the further deterioration in confidence in the fourth quarter of 2018 was largely underpinned by three subindices, namely; turnover, net operating income and general agricultural conditions. The impact of this was more pronounced due to the magnitude of a decline of these particular subindices. After a 2-index points decline to 62 in the third quarter of 2018, confidence regarding the turnover subindex significantly deteriorated further to 48 points in the last quarter this year. This is the lowest levels since the first quarter of 2010. The decline in confidence can mainly be explained by an annual reduction in agricultural output, albeit crop prices being slightly higher than last year. In line with the turnover, confidence in the net operating income subindex fell by 21 points from the third quarter to 38 in the fourth quarter of this year – the lowest level since the third quarter of 2013. The general agricultural conditions subindex fell sharply by 10 points to 40 in the last quarter of 2018. This is mainly driven by below-average rainfall in the central and western parts of South Africa, which has subsequently delayed the planting activity in these respective areas. Moreover, the prospects of an El Niño later in the 2019 summer season might have also affected the respondents' perception. The sentiment regarding the market share of the business improved marginally from 59 to 60 points in the fourth quarter of the year. This happened notwithstanding the lower output of a number of commodities this year. The observations across the respondents suggest that the optimism was driven by the horticultural subsector, while most subsectors were unchanged from the third quarter. Confidence regarding employment in the agricultural sector improved by 2 points from the second quarter to 55. However, this is still the second-lowest level since the last quarter of 2016. Having said that, this is unsurprising following a 0.1% q/q decline in agricultural employment in the third quarter of the year to 842,000. The aforementioned reduction in agricultural output was a source of the reduced activity (jobs) in the fields. Following a 14-points decline in the third quarter, the perceptions regarding capital investments confidence improved by 7 points to 58 in the last quarter of 2018. The improvement in this subindex was not entirely surprising although the respondents consistently cited policy uncertainty as a source of despondency in the past quarters. The agricultural machinery sales have been robust throughout the year. To demonstrate this, South Africa’s tractor sales for the first 10 months of this year amounted to 5 818 units, which is 9% higher than the corresponding period last year. 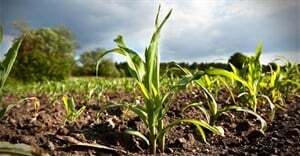 This was partially driven by expectations of an increase in summer crop plantings, which now is proving to be a challenge due to dryness and high temperatures in central and western parts of the country. Having said that, some respondents maintained that the lack of clarity regarding the land reform policy proposal remains a hanging cloud that could negatively affect investments in the long term. Confidence regarding the export volumes subindex slightly recovered by 3 to 38 index points in the last quarter of 2018. This is largely underpinned by optimism in the horticultural sector. The perception regarding economic conditions was up by 4 points to 18. But this does not call for celebration as it is well below the long-term average. There is clear evidence of continued economic underperformance in key datasets, such as the poor GDP data for the first two quarters of 2018. With that said, the recent high-frequency data promise some improvements in the upcoming quarters. The debtor provision for bad debt and financing costs subindices are interpreted differently from the above-mentioned indices. A decline is viewed as a welcome development, while an uptick is not a desirable outcome as it shows that agribusiness is financially constrained. In the last quarter of this year, the debtor provision for bad debt and financing costs subindices declined by 2 and 11 points to 43 and 30 points, respectively. However, this was not uniform across all business; some respondents pointed an expected increase following the 25-basis point rise in prime interest rate last month. While some subindices showed an increase from the third quarter, an assessment of the data shows that the fourth quarter levels of 2018 are below long-term averages. So, the three subindices that presented a notable decline, that is turnover, net operating income and general agricultural conditions, are not solely the key drivers of the headline Index. There is despondency in the sector. The drier weather conditions which were cited by some respondents as a key challenge could soon change as the South African Weather Service indicated on 30 November 2018 that there is a good chance for above-normal rainfall in the summer crop areas between December 2018 and February 2019. ‘Having said that, we doubt that there will be a meaningful improvement in confidence in the near term if there is still no clarity regarding the land reform policy in South Africa. Any reckless move in policy which might undermine property rights could dent investment and long-run growth prospects in the sector,’ says Wandile Sihlobo, head of agribusiness research at Agbiz.